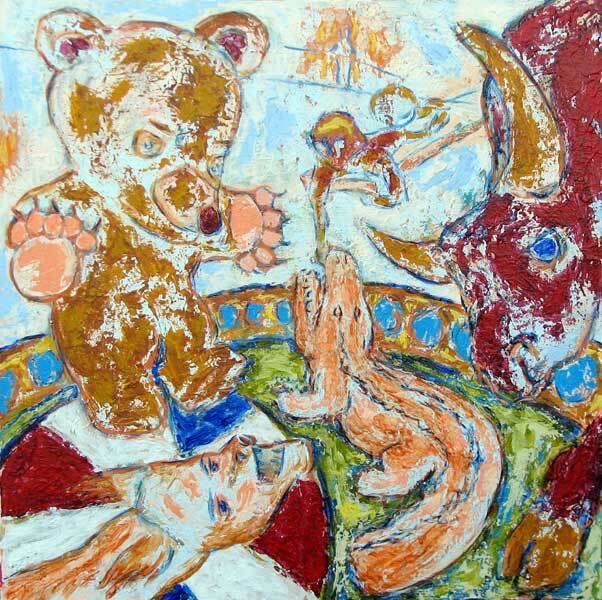 “Circus Bear Albino Alligator” contemporary figurative painting. acrylic media, archival pigments, gesso on canvas. 36 in x 36 in.